AirQ: Checked and confirm as reported by NZtravellers, the host of this cache being gone. Relocating for a new one, please wait. A nano cache, please bring your own pen. 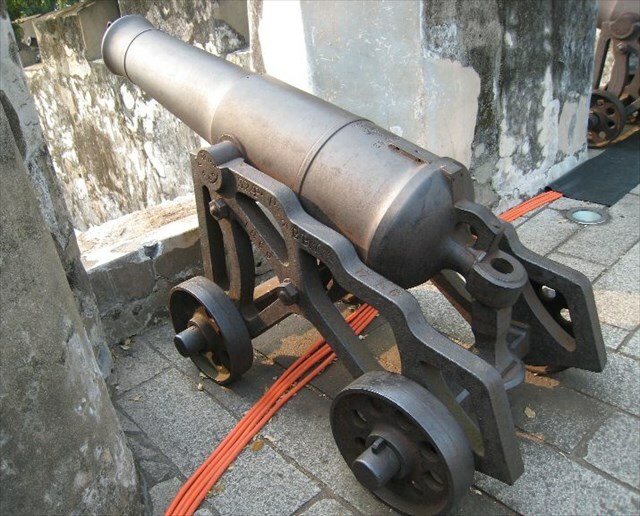 Mount Fortress is part of The Historic Centre of Macau - a World Heritage Site. The 17th Century Mount Fortress occupies a hilltop on the peninsula of Macau and is one of the most ancient Western fortresses in China. Some 300 years ago, during the height of the Ming Dynasty and before the Ruins of St. Paul's Roman Catholic Church was severely damaged by fire, the Mount Fortress solemnly guarded the city. In 1998, the three-level Macau Museum was built into the fortress hill and it is now considered a major tourist attraction. - The CCTV in Mt. Fortress may monitor GZ. - Please return to original position to help the cache last longer.